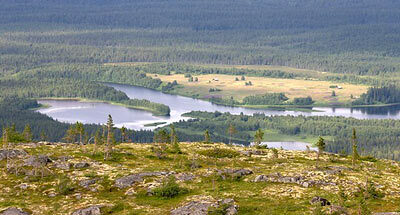 National Park Paanayarvi is situated in the Loukhsky District of Republic Karelia. The Park was founded in 1992. Its area is 103,3 thousand ha. 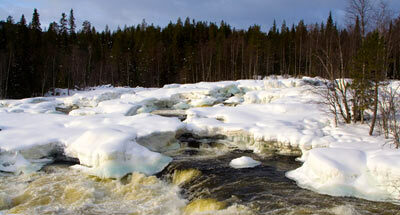 The Park is located in the basins of lake Paanayarvi and the river Olanga, near the Russian-Finnish border. It comprises the most mountainous territories of Karelia with one mountain, Nuoru-nen, 577 m above the sea level, and several separated massifs situated above a plateau. The hydro-network includes about 600 large and small lakes, and 60 rivers and small rivers. 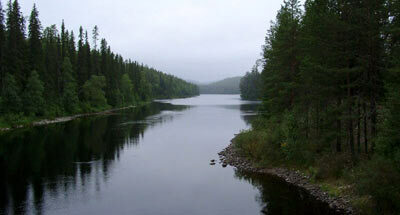 Lake Paanayarvi is famous for its depth, the greatest in Karelia (up to 128 m). The plant cover is represented by northern taiga, mostly spruce forests, with an extra mixture of pine and birch, notable for its very good preservation due to the absence of felling in the past. Mountain tops are occupied by tundra. Flora makes up 550 vascular plant species. In lake Paanayarvi and the river Olanga there live brook trout, lake trout, grayling and cisco, whose life cycles move partly in the river Oulanka (the continuation of the river Olanga in Finland, located in the Finnish National Park with the same name). Along the eastern periphery of Paanayarvi the forest reindeer migration route passes. Of rare birds there are the golden eagle, the white-tailed eagle, and the fish hawk.